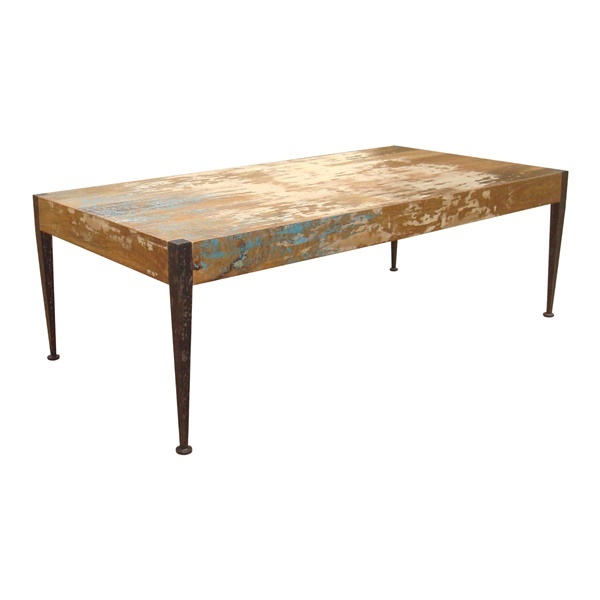 Beautifully constructed of solid Mango wood for long-lasting strength and increased appeal, the Astoria Coffee Table makes a great addition to any home. Four iron legs provide stability and added durability, while the distressed white with blue rub-through finish furnishes a rustic, industrial look. Easy to incorporate into a variety of decors, the Astoria is perfect for creating an interesting focal point in any living space. Complement with the Astoria Console Table, End Table or Dining Table for a complete collection.